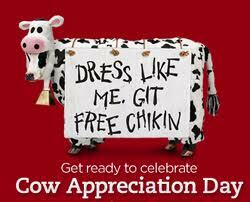 Chick Fil A has released the Cow Appreciation Day for this year. 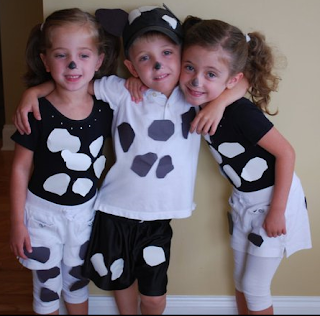 You'll want to be sure to start gearing up to "Dress Like a Cow" day at Chick fil A. Stop by your local restaurant on July 12th, and receive a FREE Combo Meal! As you might remember from last year, the attire is so fun! You see just about anything and everything! Here's some more information regarding Chick Fil A Cow Appreciation Day.